IPVanish has released its Mac OS X Client update, v1.3.6, just in time for the anniversary of the World Wide Web. This release is a very appropriate way to usher in another year of Internet. We have been facing greater challenges in terms of online security, privacy and freedom. An upgraded client from one of the top VPN companies is just what you need to meet another year well-protected from online threats. The IPVanish Mac OS X version 1.3.6 is an upgrade for the VPN provider’s automatic setup software. It comes as part of the IPVanish commitment to continuously provide customers with improved services. The new Mac OS X client is lighter than ever before, lowering the load that your computer has to bear when running it. Flag assets have been incorporated to make bandwidth requirements lower as well when the app starts up. The software version has improved encryption services and there are no more problems with the clearing of OpenVPN DNS entries. Any IPVanish user can get the Mac OS X v1.3.6. It is free and automatic when the app starts up. All you have to do is accept the prompt and the update will start. The World Wide Web just turned 25. Its creator, Tim Berners-Lee, gave the world the Internet in the spirit of easy communication and free access to information. He gave the code that was the foundational architecture of the Internet as a gift to the world for Christmas. The Internet has grown by leaps and bounds since that first launch in 1989. We have amazing graphics capabilities, data transfer systems and data search features. The whole world uses the Internet today in many aspects of their daily lives. It has become essential to many modern workers, students and homemakers. But as the Internet has grown in popularity over the years, it has become a target. And so have the people who flock to it every day. The Internet was made open and free, but many work hard to change this. Information that is loaded up on the World Wide Web is not accessible to everyone. It has become a place where proprietary ideals have all but overcome the original concept of sharing with a global audience. The Internet has also become a place for criminals to lay in wait for victims. With so much traffic on the World Wide Web, it is an excellent place to catch people off guard. But today’s Internet users don’t have to worry because they have advanced tools to help them. 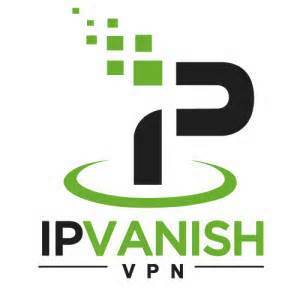 IPVanish puts Internet freedom and security back in the hands of everyday Internet users. And there are a lot of them. To illustrate, over 70% of adults in the US use the Internet on a daily basis. Now they can all stay protected and protect their free Internet with the best VPN services.